Advance copies of this new picture book arrived this week. It’s written by Wolfram Hanel, and published by Nord Sud (North South) in Zurich. 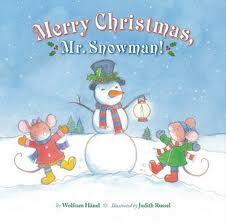 In English, the title is Merry Christmas, Mr Snowman! 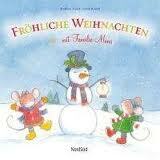 It is being published also in German and French. I’m very happy with it, it has a traditional kind of look, I think, and it has lovely sparkly glitter on the snowman on the cover! This is the first book I have illustrated that has glitter on it.